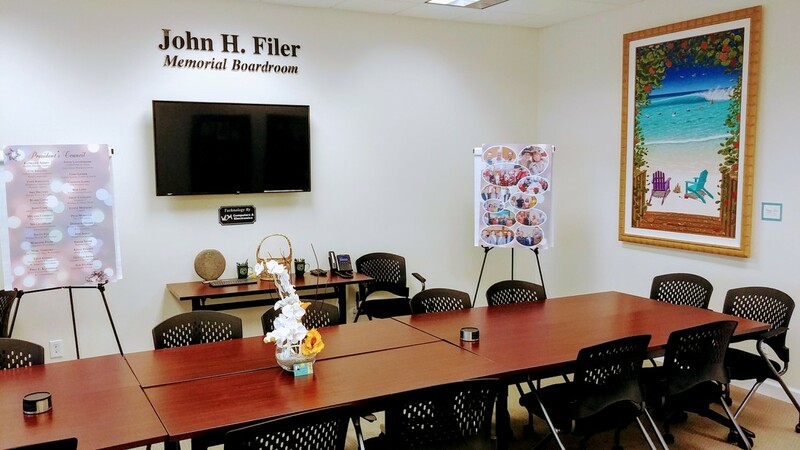 The John H. Filer Memorial Boardroom is an adaptable meeting and event space located in the office of the Hobe Sound Chamber of Commerce. The room rental offers flexible space that includes tables, chairs, lectern, kitchenette, private restroom, private entry and exit and TV/ AV equipment for presentations. The Boardroom is available by reservation on a first-come, first-serve basis. The Boardroom is available to Chamber Members or Community Non-profits only. A set-up plan must be provided in advance. The renter must adhere to the parking policy (below) and must clean-up, leaving the space in the same condition as it was prior to the rental. The Chamber reserves the right to refuse bookings. In the event of a cancellation, refunds are available with 72 hours advanced notice. CONTACT MARY PALCZER AT MPALCZER@HOBESOUND.ORG OR 772-546-4724 FOR MORE INFO OR TO RESERVE SPACE TODAY. Note: The Capps Roofing, Inc. Visitor Center is available free of charge during Office Hours (9:30am to 3:30pm) for Ribbon Cuttings. The Visitor Center is open to all residents and visitors to stop-in to browse the publications and brochures. Our volunteers are available and ready to assist. 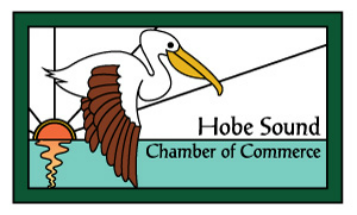 Onsite Parking is available for Chamber guests in the Hobe Sound Centre Building parking lot, just east of the building, and the parallel spaces in front of the building. Spaces are limited. Guests are encouraged to park across the street should they plan to be visiting for more than an hour at a time. (Chamber staff parking located across the street). During business hours 9:30am to 4:30pm, event attendees (including John H. Filer Memorial Boardroom renters) should park across the street. For events on the weekends or week days before 9:00am or after 4:30pm, attendees may park onsite in the Hobe Sound Centre Building parking lot, just east of the building, and the parallel spaces in front of the building.